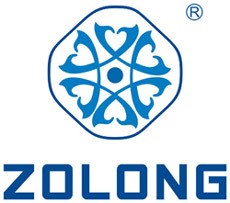 Guangdong Zolong new materials co., LTD Which is a research and development ,Production, Sales Company ,Company locatated at a very convenient place. 40 kilometers from GuangZhou Center City,38 Killometers away from Guangzhou Baiyun International airport .Company Covers an area of 29500 Square Meters .Totally Investment is 80 Million, More Than 200 staff has a number of highly qualified management and high-end technical talents .Over these years , with constantly introducing the international advanced management concepts and advanced technical facility which own the largest domestic production line and the most advanced and powerful technology. We have developed into a leading domestic advertising equipment supplier . PVC Foam board (PVC Kitchen cabinets, bathroom cabinet ),PVC free foam board (advertising, printing), PVC building template ,PVC decorative sheet,(cars),In order to meet the market development needs, we constantly innovative research and development of new products, our company can produce with environmental protection, long life span and other advantages based on the market, products have been widely applied to aircraft, ship, train, car decoration, furniture, bathroom cabinet, toilet partition, smallpox, construction; Subway stations, shopping malls, Banks, airports,convention centers, hotels and other fields, products are exported to Europe, North America, Australia, etc all over the world. Looking forward to the future, we will be more unity and pragmatic, advance with times, in line with "Monitoring the quality and cost today, create tomorrow’s market and benefit." concept, with high quality products, excellent service, warmly welcome to join us to creating a better careers !